Located in the southern Adirondack community of North Creek, NY Gore is best known for it’s intermediate terrain, New York state’s only gondola and the high speed triple chair that briskly conveys skiers from the base to the upper mountain. 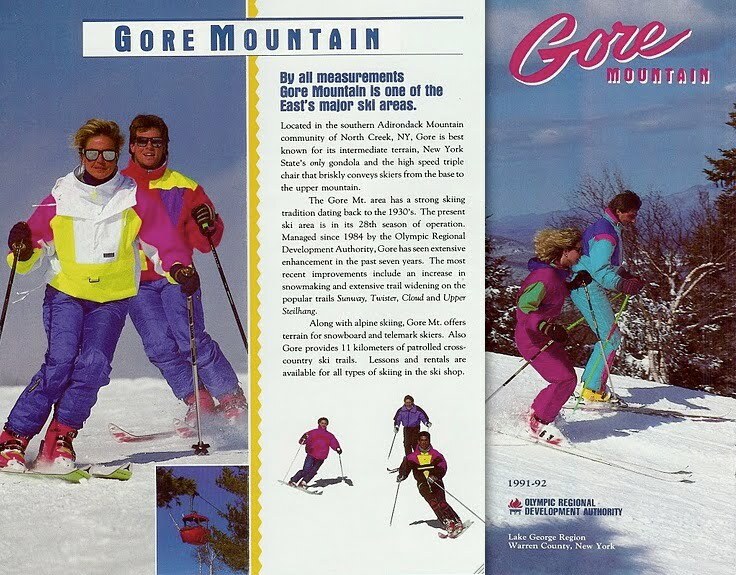 The Gore Mt. area has a strong skiing tradition dating back to the 1930’s. The present ski area is in it’s 28 season of operation. Managed since 1984 by the Olympic Regional Development Authority, Gore has seen extensive enhancement in the past seven years. The most recent improvements include an increase in snowmaking and extensive trail widening on the popular trails Sunway, Twister, Cloud and Upper Steilhang. Along with alpine skiing, Gore Mt. offers terrain for snowboard and telemark skiers. Also Gore provides 11 kilometers of patrolled cross-country ski trails. Lessons and rentals are available for all types of skiing in the ski shop.